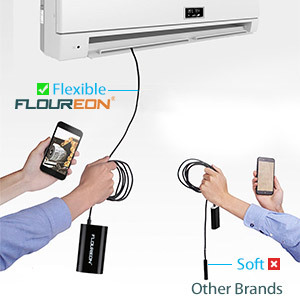 Support wifi connection and will more convenient for you to use the item, you don't need to worry the cable will increase the trouble when you inspecting. Without using extra adapter or cable, this wireless borescope can be easily connected to your smartphone via WIFI. The only thing you need to do is to download and install the compatible APP "mojo view" on your device. 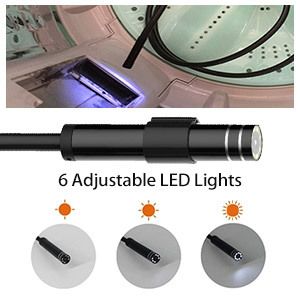 Unlike other endoscope cameras on the marketplace, this endoscope camera not only works with the Android smartphone(Above Android 4.4), but also iPhone IOS system(Above IOS 8.0) by WiFi. 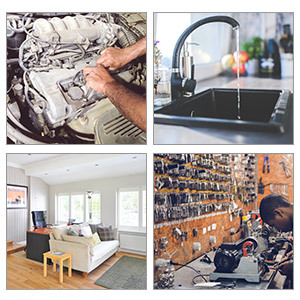 Including HVAC, vent pipe, machine equipment, engine, automotive, boat, aircraft inspection, etc. Perfect for inspecting pipes, vehicle, and equipment, small parts assembly, viewing places where normal camera hard to reach. Please Note: this appliance is not intended for medical use or personal inspection. Semi-rigid cable can bend and hold the shape what you want so that it can meet with different sing needs. Please note: our camera is featured with fixed focus, instead of zoom focus. Therefore,in order to get the best image quality, the best focal distance is 0.13-0.19 Inch,The best transmission distance is 16.4-98.4Inch, if too far or too close, it may both affect the image quality. Building-in 6 adjustable LED on the camera helps to improve visibility in dark or low-light areas. The LED intensity can be adjusted because there's a brightness control wheel on the wifi box. Featuring 16.4FT cable and 0.31inch/8.0mm diameter camera, the 8.0mm diameter camera head helps to gain better observation in small and narrow space. 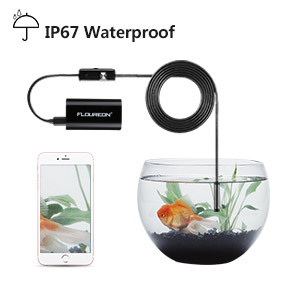 Featuring IP67 waterproof camera probe and cable allows it to work in multiple enviroment, but do not submerge into water more than 5mins and no deeper than 3.3FT. 2MP HD CMOS camera allows you to capture image or record video at a close range. The captured photos/videos will be saved to phone album automatically.